The Sleight of Hand (with 1/4'' jacks) provides an easy way to switch CV sources with a simple footswitch, adding inexpensive performance flexibility and control to 1/4'' format(Moog/MU Format, Modular/Semi-Modular Synthesizers etc) and gives you an extra layer of human control to your electronic instruments. 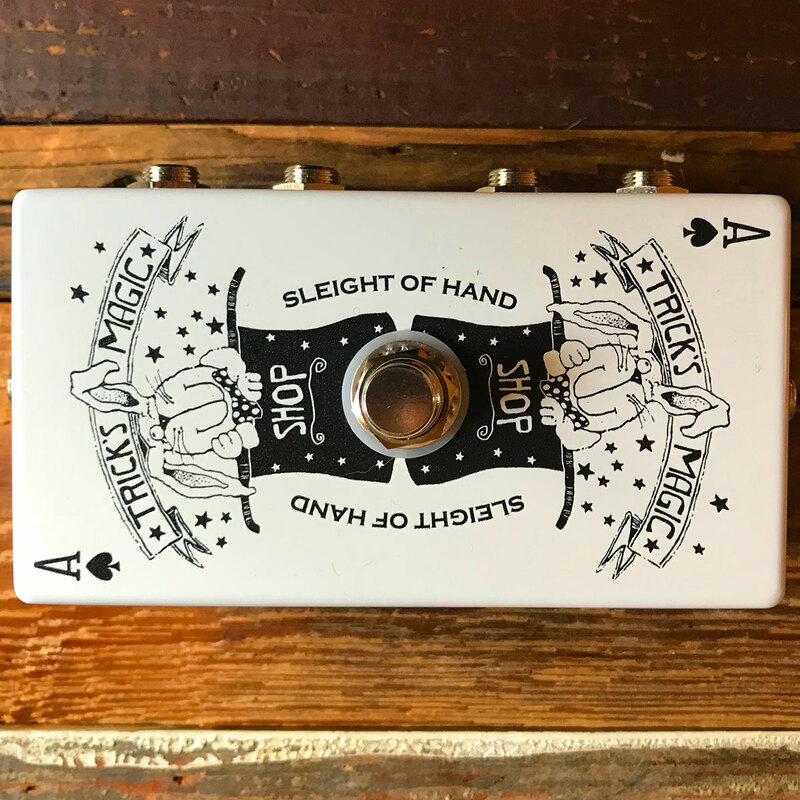 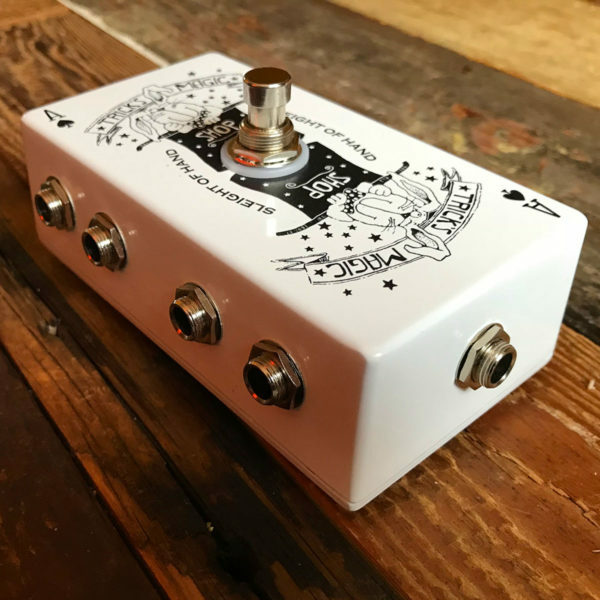 The Sleight of Hand with 1/4” mono jacks is a two-channel CV signal footswitch for modular/semi-modular synthesizers. 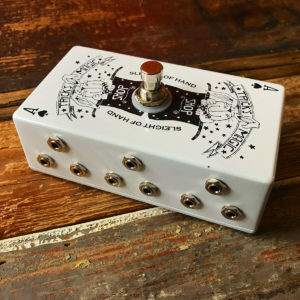 Upon the click of the footswitch, two CV source signals switch simultaneously between their respective A and B inputs to their correlating outputs. This hands-free tool was conceived out of a basic desire to switch CV modulation sources to an oscillator over the course of a performance while both hands were occupied playing their parts – but clearly, its uses are many beyond that. 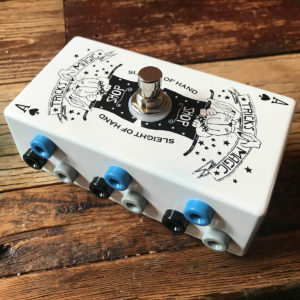 Alternatively, the functionality, per channel, can be reversed to switch a single CV signal to either its respective A and B outputs, which is particularly useful for instantly switching between two effect chains where it would be impossible to activate and deactivate many effect boxes simultaneously.